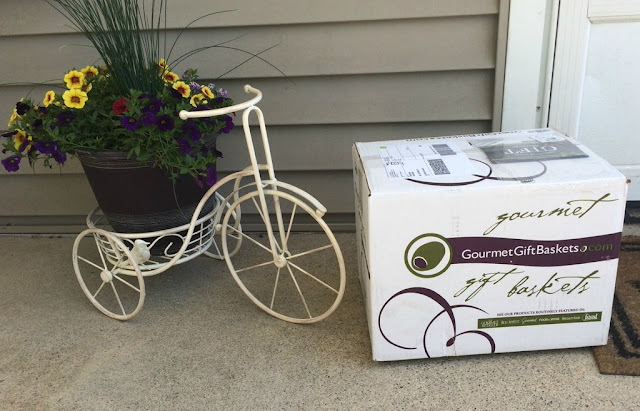 As Fathers Day approaches, it was nice of GourmetGiftBaskets.com to send some special treats our way out of respect for A Geek Daddy being one of their favorite dad blogs. 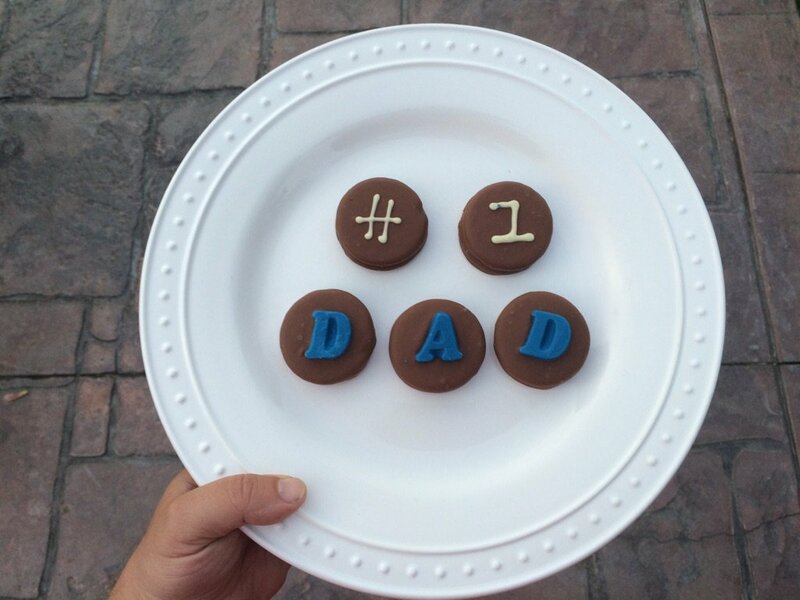 The Belgian chocolate-dipped Oreo® cookies they surprised me with were delicious and what father wouldn't appreciate that they spelled out #1 DAD. Neck ties are a popular Fathers Day gift, but take my word on it after having devoured a yummy box of Oreo Cookies for Dad from GourmetGiftBaskets.com, one of these decorated cookies is the type of "tie" I'd prefer to get. This gift pack includes 12 classic Oreo cookies each individually dipped in gourmet chocolate and are decorated to let the dad in your life know how special he is to you. GourmetGiftBaskets.com also sent us a Deluxe Meat & Cheese Sampler to try out which was simply delicious. I enjoyed this assortment of artisan meats, cheeses and crackers along with a Strongbow Hard Apple Cider while lounging on the back deck enjoying listening to a Detroit Tigers baseball game on the radio. Enjoying this gift basket, that included applewood smoked garlic summer sausage along with Chipotle Cheddar, Jalapeno Jack and Wisconsin Swiss, while listening to a ball game made for a wonderfully relaxing weekend afternoon. Fathers Day is June 19th and GourmetGiftBaskets.com has a huge variety of present ideas to select from. From golfing to fishing and barbecuing to gardening, GourmetGiftBaskets.com has something that will appeal to all interests and tastes! Summer Seasonal Beer Bucket, Caught the BIG One - Fishing Gift Basket, Hole in ONE Golf Gift Pack, Gardening Gift Basket, and Barbecue Enthusiast Gift Basket and the Gourmet Breakfast are some of the most popular Fathers Day gift suggestions available. I love popcorn! So I have to say I'd be delighted if my wife and kids surprised me on Fathers Day with the Backyard BBQ Popcorn Sampler. HINT! HINT! This gift pack is one of my favorites from the Fathers Day Gift Idea List at GourmetGiftBaskets.com as it contains a variety of interesting and unique flavors of popcorn Honey Mustard, Hickory Maple Bacon, BBQ Ribs, Chipotle BBQ, Cajun, Buttered Corn On The Cob, Dill Pickle, Zesty Ranch, Sun Dried Tomato, and Watermelon. Each flavor is packed in its own sealed bag for freshness and contains two cups of popcorn. Oh yeah! I want to try this out! 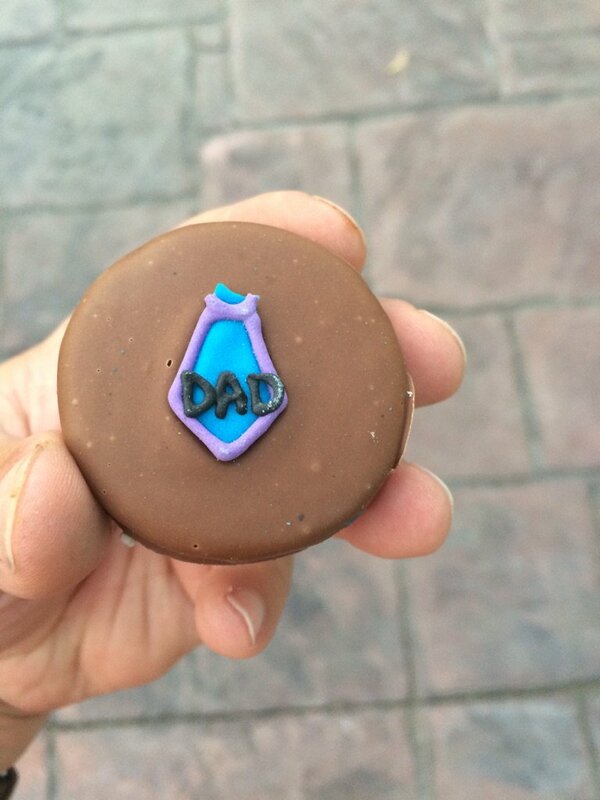 What dad wouldn't appreciate being surprised by finding a tasty treat at his door step?! Don't get your dad a tie, socks or underwear for Fathers Day! Show him you care by sending something special from GourmetGiftBaskets.com.